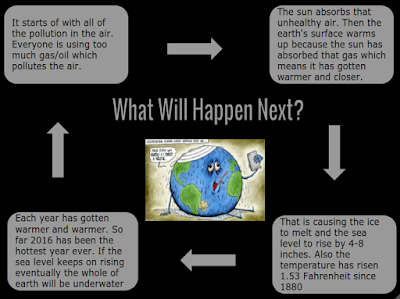 Task Description: Our task was to do a poster about Global Warming. 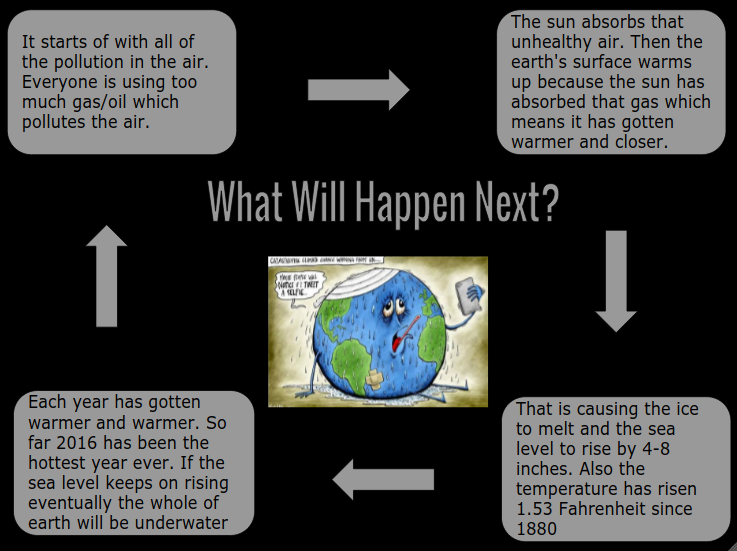 Our earth is at risk because the sea level is rising, the ice is melting and the sun is getting closer and hotter than usual. Did you know that 2016 is the hottest year so far.